Buying textbooks for school is a huge expense many students don’t see coming. Depending on your major, it can cost you upwards of $1,000, especially for science majors where a single textbook can cost half of that. Thankfully, college students have some options when it comes to buying textbooks. You have the option to buy new or used textbooks and save some extra money. You may be wondering why someone would spend the extra money on new textbooks when they could just buy used textbooks. You may also be wondering how you can save money when buying new textbooks. We’ve put together a guide to show you the upside and downfall of buying new and used textbooks and how you can make some money back when the semester ends. If new textbooks are so much more expensive than used textbooks, why would someone buy them? There are a few reasons. One reason may be that your professor has assigned the latest edition of the textbook that contains important and updated information that you will need for the class. Now that computers are a large part of our lives and education, many textbooks come with online program codes with exercises or homework assignments. These codes are unique to each copy of the textbook and typically valid for just one year. That means students cannot buy the used version of the textbook because they will not have the online code to complete homework and other assignments. Another reason to buy new textbooks is personal preference. If you are a science or mathematics major, it may be a good idea to keep your textbooks throughout your college career to refer back to since the information builds from a starting point. As a senior, you may want to flip through your freshman year chemistry book to get back to the basics if you have trouble understanding a concept. New textbooks are easier to find than used textbooks because most bookstores will likely carry it in the store. It is a good idea to check online and compare prices before buying the book right away. While your school bookstore probably has the new textbook in stock, they are more likely to increase the price because of the convenience of getting it on campus. Check websites like Amazon and Barnes and Noble to see if they offer a better price than your campus bookstore. Just because you want to buy new textbooks for the semester does not mean you shouldn’t try to save money on them. While they will be more expensive than used textbooks, you can definitely save a few dollars with these tactics. Always compare prices at different stores when looking to buy a textbook. Like we mentioned earlier, your campus bookstore is more likely to increase the price based on convenience. Websites such as BIGWORDS and CampusBooks make it easy and fast to compare book prices. Simply enter the ISBN and watch as the results come up. You may find a fantastic deal! If you know that you won’t use the textbook for more than a semester but you still want a new textbook, consider renting it. Textsurf, Amazon, and Barnes and Noble will rent books to students for a fraction of the cost if you were to buy it. To return your book, simply place it in a package and use the free shipping label provided. It doesn’t get any easier than that. You can also check your campus bookstore to see if they also offer rental books. If you have a tablet or Kindle, buying the ebook version of a textbook can save you a few dollars compared to buying the print copy. Not to mention, the ebook won’t weigh down your backpack and it’s environmentally conscious. No more flipping through pages of information you don’t need, with an ebook you can simply search for the term or chapter you need without wasting your time trying to find it in a large book. You may also be able to rent an ebook version from Amazon, which will save you a ton of money. If you have a friend who is in the same major and planning to take the same class you are but during a different semester, consider splitting the cost of the textbook with them. This will mean that you only have to pay for half of the book, which can save you quite a large amount of money. It also means that the textbook isn’t sitting on your shelf unused for months. When and if you sell the textbook after you have both used it, you can split the price and make some money back. It’s a win-win situation for everyone! As a college student, you shouldn’t be ashamed to ask for some help from family and friends when it comes to getting through school and buying textbooks. When it comes to birthdays or holidays, ask for gift cards to your school bookstore or other stores where you can buy textbooks. This can be a huge help, especially because this money isn’t coming out of your pocket. It’s the end of the semester and time to clear out your clutter. You see the textbook you bought and thought would be helpful throughout your college career, but it turns out the book was a disappointment and maybe a waste of money. So, what do you do with it? You sell it! Your school bookstore most likely buys back used books, but for the lowest amount possible. Again, it’s the convenience factor. The best way to make money back on your new textbooks is to sell it to your classmates or online. Since the textbook is new, you can sell it for a higher price than if you were selling a used textbook. Now that you’ve heard all of the benefits of buying new textbooks, here are some reasons why you wouldn’t want to buy new textbooks. They can be a waste of money. Why would you buy a new textbook if you can save money buying a textbook with a little wear and tear? Most textbooks today are overpriced, especially when buying them from the bookstore. Do yourself a favor and save some money to spend on fun activities. Why buy used textbooks? To save money, of course! It’s amazing the discount you can get if you buy used textbooks compared to new textbooks. Not to mention, you are helping someone else by taking a book off their hands and helping them make some money back. It’s the circle of life for the college textbook. Anywhere you can buy new textbooks, you can typically buy used textbooks. This includes your campus bookstore. When it comes to used books at the campus bookstore, you may actually find yourself a deal compared to Amazon or eBay because you won’t have to pay shipping costs. Another great place to look for used textbooks is through social media and friends who have taken the class before. Many colleges and universities have Facebook groups where students can sell their textbooks or simply start conversations about the ongoings of campus. Scroll through the feed and search for the textbook you need. 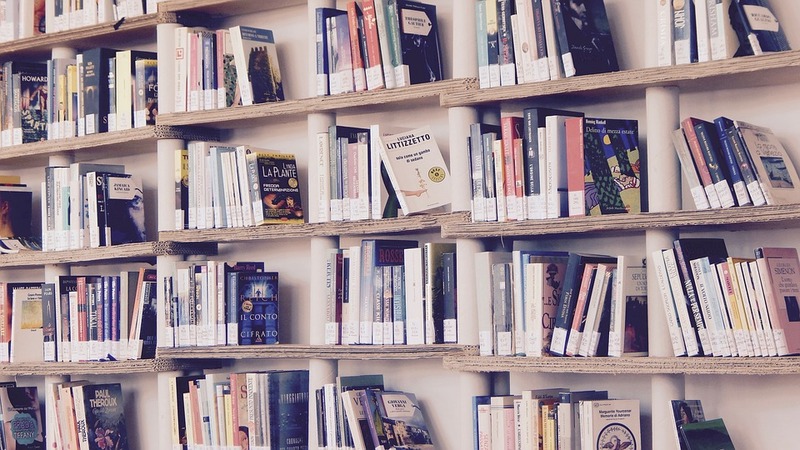 Take a trip to a local used bookstore near campus. They may carry a copy of the book thanks to a previous student’s kind donation. It may involve some perusing, but if you are a book lover, it won’t feel like too much of a chore. Lastly, you can ask your professor if they happen to have any extra copies of the textbooks that previous students left. They understand that textbooks can put quite a dent in your pocket and want to help you out as much as possible. 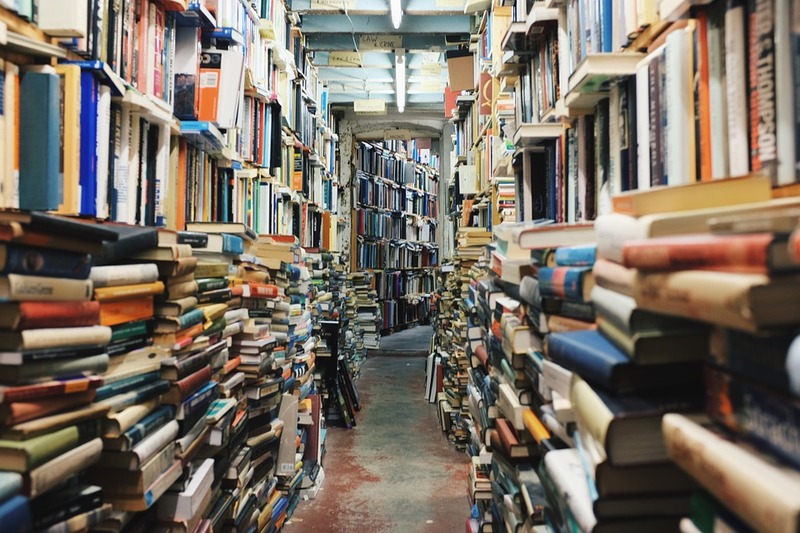 While buying used textbooks will instantly save you money compared to buying new textbooks, there are some more tactics you can use to make sure you save the most money possible. Just like with the new textbooks, you should always compare prices. This may be a little more work than just using a website that compares prices for you because you have to search for classmates selling their books. If you have the time, it’s always a good idea to compare the prices before going in and buying a used textbook. Help out your fellow classmates and buy their used textbooks. Not only will this help them make some money back, but you will get a textbook at a discount. Since you are buying from an individual, don’t be afraid to haggle the price a little, especially if you saw it for cheaper online somewhere. If you buy a used textbook from a classmate, you also skip the shipping fee because you can pick it up right on campus. Nobody ever thinks to go to the library to check out a textbook. Libraries are free to use and usually let you check out a book for most of the semester. The only thing about using the library for a textbook is that you have to go early, before the semester starts. If you are an English major or taking a General Education class that requires you to read classic novels or books, check to see if you can download it for free. After a certain number of years, the copyright expires, which allows you to download the ebook version for free! Check Amazon, Barnes and Noble, and Google to see if the book qualifies. You can rent used textbooks for a fraction of the price if you were to buy them. Once again, check the bookstore and other online stores to get the best price. This also means less clutter on your bookshelf after the semester ends. Just like with new textbooks, you can make money back on your used textbooks. Sell them to fellow classmates and online using Textsurf or Amazon. Sometimes, if Amazon is running low on a certain textbook in high demand, they will offer you credit towards your account if you send your book to them. Skip selling your used textbooks back to the school bookstore. They will give you a minimum amount that won’t feel like much in your wallet. The best way to make money back on used textbooks is to sell them yourself. All of this sounds great, right? However, there are some reasons why you shouldn’t buy used textbooks. You may need the newest edition of the textbook for your class. You may need an online code to complete assignments for the class that comes with a new textbook. It may just be personal preference. Some people get distracted if they see notes or highlighted text in a used textbook. Maybe you have some money leftover from a scholarship and you want to use it to splurge and buy yourself a new textbook. Used textbooks aren’t for everyone. There are many pros and cons to buying new and used textbooks. It all comes down to money and personal preference. If you have the extra money to spend on new textbooks and prefer it to a used book, then go for it! Just remember that there are ways to save money on new textbook. As for used textbooks, it is the economical choice for college students, but you may not have the option to buy used. Your professor may require the newest edition. Either way, new or used textbooks, there are ways to save money no matter which kind you’re buying. You can also make money back by selling them to fellow classmates or online.